Welcome to King Realty & Management Inc.
Janice wasn’t born here but she got her as fast as she could. She’s made her life in Texas over the last 40 years after moving from Pennsylvania. A graduate of Duncanville High School and Stephen F. Austin State University, Janice spent nearly 30 years as a marketing and product management professional at Verizon. An avid Rangers fan, you’ll find Janice at Globe Life Park in Arlington cheering on her favorite baseball team. Her shining personality will put you at ease and her attention to detail will assure you she’s got your back during the buying and/or selling process. Never one to show her Clients something she wouldn’t accept for herself or her family, Janice always looks out for her Client’s best interest. While you’ll enjoy her upbeat spirit, know that she’s working behind the scenes to accomplish your real estate goals with as little stress to you as possible. Janice will work tirelessly for you if you’re working toward making your homebuying dreams come true or you’re needing to sell your property and move onto your next chapter. 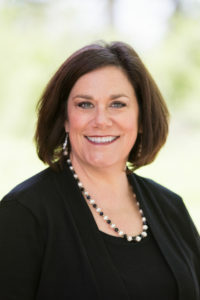 Whether you’re looking to buy, sell or lease, Janice has a deep knowledge of the Dallas/Fort Worth area and is at the ready to help you accomplish your goals. Looking for a home? Feel free to search and/or log-in below. King Realty & Management Inc. fully supports the principles of the Fair Housing Act and the Equal Opportunity Act. All information provided is deemed reliable but is not guaranteed and should be independently verified. Properties subject to prior sale or rental. King Realty & Management Inc.